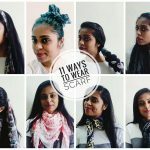 Hey My Readers, This Post is Specially for Ladies & Girls! 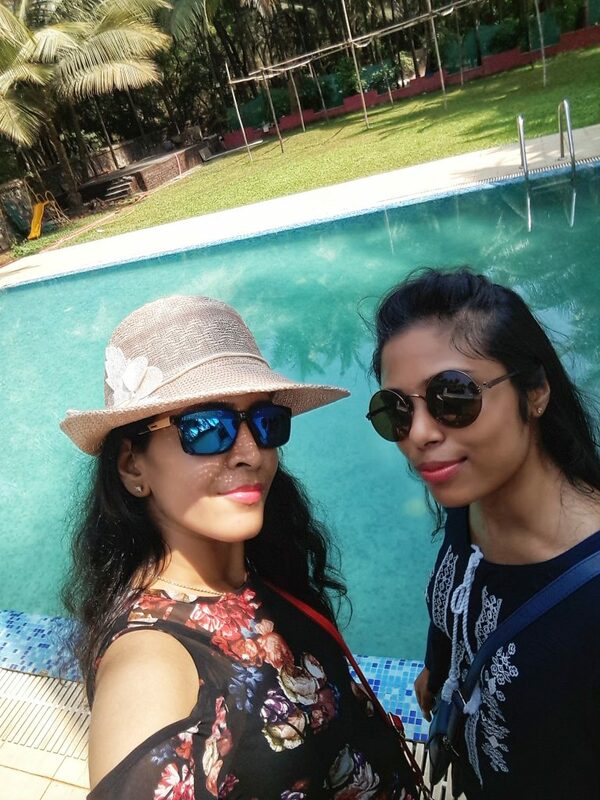 I travelled to Alibag on a Girls Trip in 2018 and us being alone girls, were just fine all over Alibag for a One night stay! 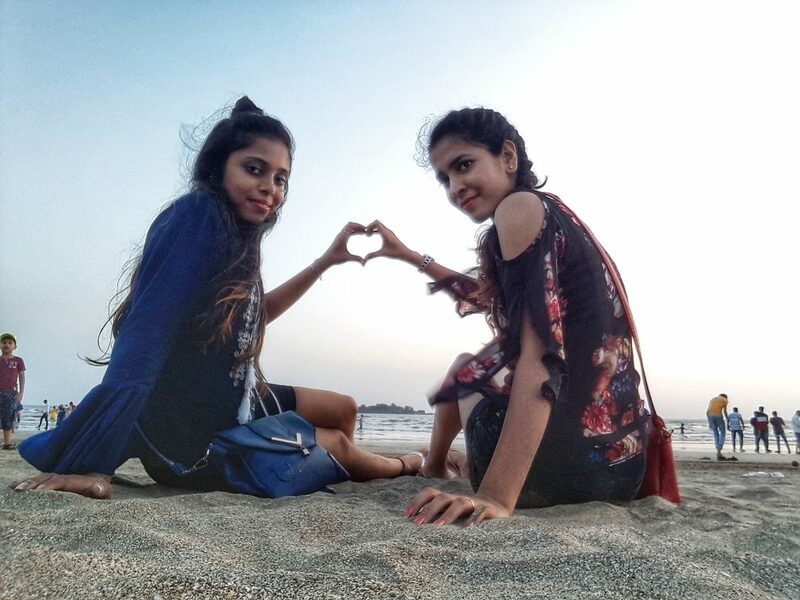 If you wish to know how we travelled to Alibag and commuted around the place, managing to visit near by places as well as trying the special Alibag Food, then do keep reading. 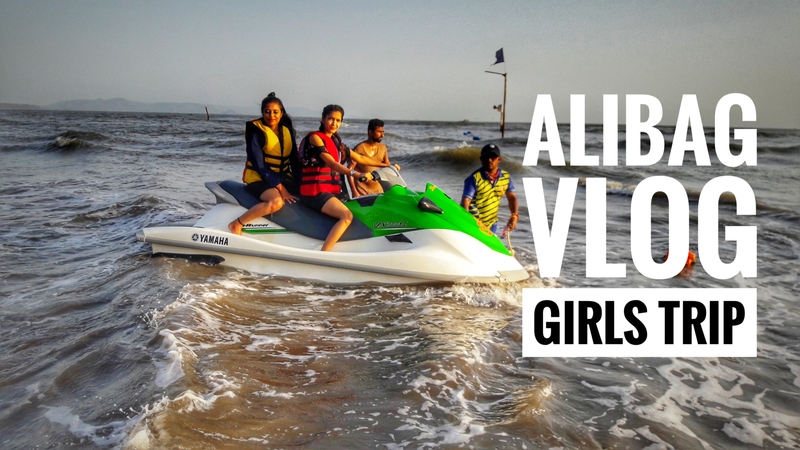 Also take a look at the Alibaug Girls Trip Video we Made on Youtube to See our Experience. We took of from Gateway of India around 7am and bought tickets from there to the Alibag Ferry. 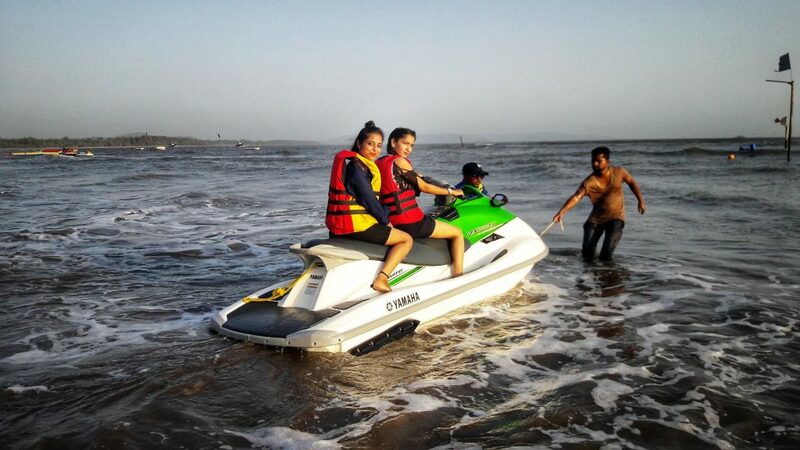 (Be sure were you are boarding as there are ferries boarding for Ajanta Ellora Caves too, So asking is a great option) Once you are on the ferry it will take approximately an hour to reach Mandwa Jetty Point. From Mandwa Jetty you can board the bus to the Alibag Bus Station, (they have written on ferry ticket that the bus fare is included) But that’s not possible for you to board a overfull cheap bus where you will have no space to stand and travel too! Better take private transportation, Taxi, Riskhas and Big Tuktuks. It will take another 40-45mins to reach the Bus Stand. 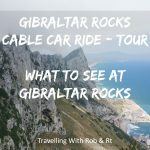 I have mentioned below all the fares we paid for during this travel(end of blog). Reached Alibag bus stand cross roads, and we took help of GPS, and found the route to our resort which was 10 mins away. We hired a Risksha and reached the Resort, early. So decided to leave the backpacks and explore the Varsoli Beach was a walking distance (Again, you can rely of GPS here). We can hire two wheeler like Activa and other bikes. The Activa can be booked up for at your resorts or they can arrange it for you. Approx Charges ( INR 75 per hour) You can walk to near by places like we did. And you can take public transport like busses or riskha for further travels. Well as a Girls Trip, we didn’t explore so many places that you can actually go at, but yes we did go to town, restaurants, different beaches and relaxed. 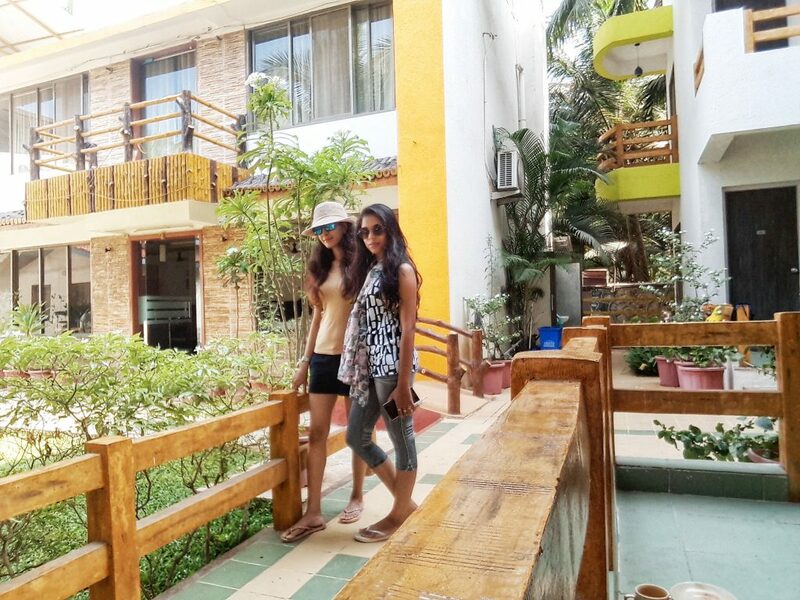 We were there for 24 hours once we checked-in so we tried our best to enjoy the trip. 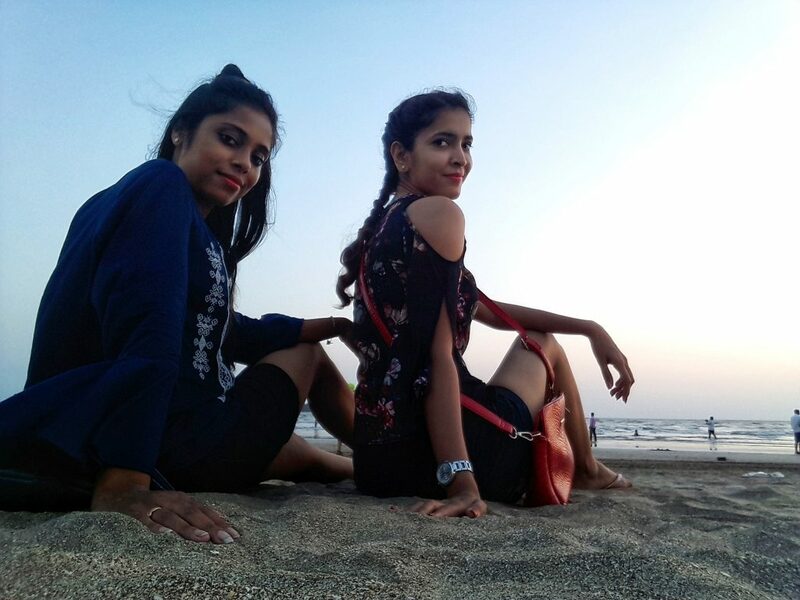 We walked from the resort for 10mins and reached there, there was a nice place to BBQ around the tall trees (Watch the Alibag Video to see what I Mean). Its a Calm Beach and there were fewer people around and shops too. 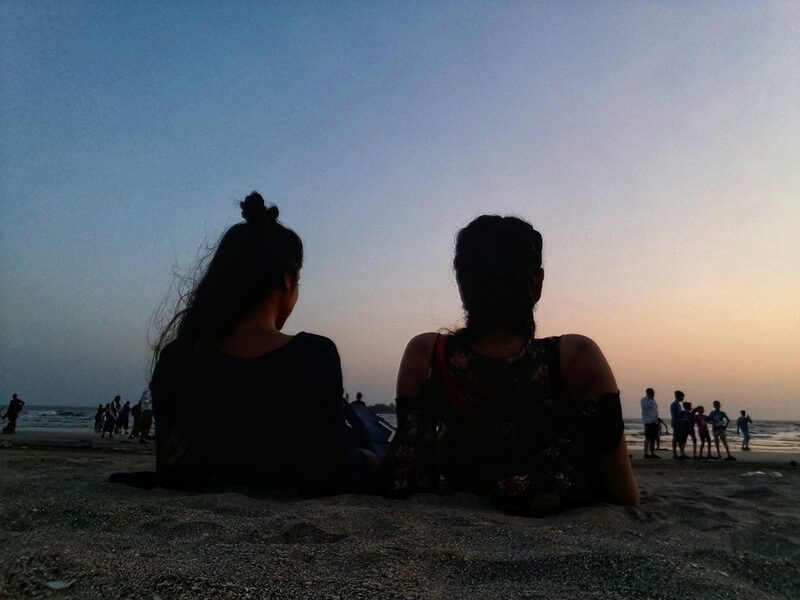 Remember for a Girls Trip, you can visit the Varsoli beach at day time as the walking route and beach is calm, so for safety reasons, avoid visiting after sunset. We visited the next day morning too for a nice sunny stroll after breakfast. 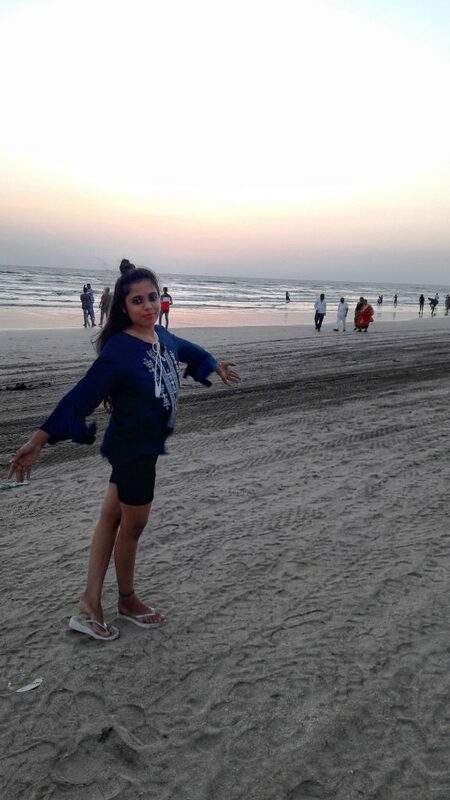 This is the most popular beach in alibag, we went there at evening hours after 5pm. We took the Riksha from the cross roads near to alibag bus stand, takes 5 -7 mins only. Tried our Tea at the Beach front Stalls too. It’s a Crowded place and has tourists and water sports activities. We went for Jetski and it was so fun! A guy from whom we rented the ride had an assistant who recorded our Ride! Later we spent some calm beach sunset hours sitting on the sand. We walked back from the beach to the market and it was pretty nice, and fun. We were actually looking for a restaurant to have mouthwatering Fish! Fish is a must have in Alibag. So we found a good Restaurant to have some authentic Alibag Food. At the market there are many veg restaurants, non-veg too, Thali Restaurants and Bakeries, grocery store, fruit and Juice shops and small clothing and cosmetic shops too just like what a real town would have. Solkadhi, A nice Kokum Drink which tastes like masala buttermilk but better and in pink color. Rewas Fish fry, crispy and full of spice, we tried this as the Surmai fish was not available which is a must have at Alibaug. Coconut Jelly is something very refreshing and also found in Alibaug at street food places or restaurants. We ate at the Sanman Restaurant we saw it’s google review (hahaha) and then decided to head there. We also ate at our Resort Restaurant, Lunch which was average. Travel back from Alibag to Madwa Jetty and to Mumbai. After the whole fun trip we checked out the next day, walked back to the bus stand as we found no riksha and then hired one to Madawa jetty which took 45 mins. From Madwa Jetty, booked Tickets too Gateway of India. After an hour’s ride, we reached Mumbai. The journey was fun and we travelled as responsible and safe ladies around alibag. 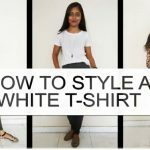 Enjoy your trip and for more tips you can watch our Alibag Video. 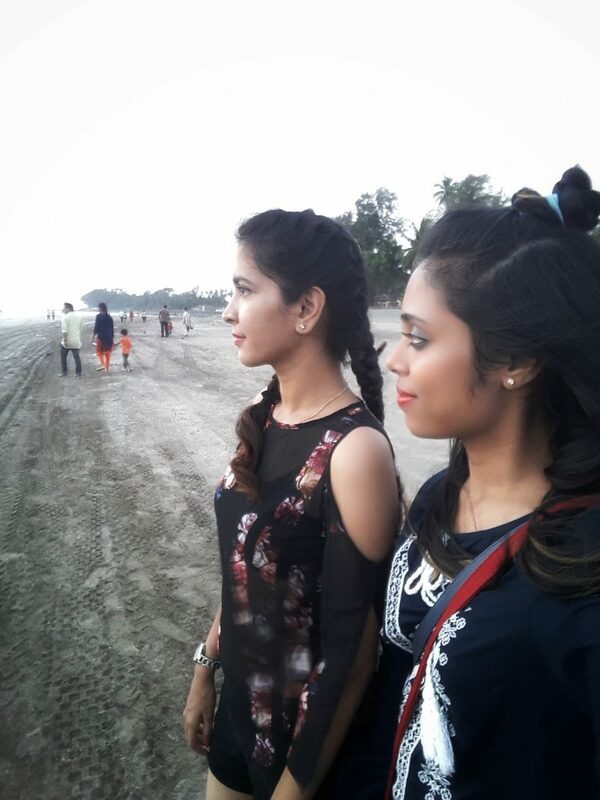 We also travelled back after some months to Alibag – Revdanda Beach for the New Years Eve 2018 Party for Beach Camping. We have a Video of Alibag Beach Camping too which you can check out.